ProThrivers Wellness Brain supports cognitive clarity. * This formulation includes Theracurmin® (bioavailable curcumin), citicoline, hericium erinaceus (also known as the lion’s mane mushroom), and acetyl–L-carnitine. ProThrivers Wellness Flavonoid Complex features a unique combination of herbs and nutrients intended to support healthy antioxidation. * The combination includes Theracurmin (bioavailable curcumin), green tea extract, resveratrol, Alpha Glycosyl Isoquercitrin, reduced L-glutathione, and CoQ10. ProThrivers Wellness Multivitamin is a combination of nutrients that support the health of thrivers. * A unique and important aspect of this formula is what it does not contain. ProThrivers Wellness Multivitamin does not contain beta-carotene, alpha-tocopherol, copper, or boron. ProThrivers Wellness Sleep is formulated with melatonin, magnesium, l-theanine and magnolia. THERACURMIN® is a registered trademark of Theravalues Corporation, used under license by Schwabe North America, Inc. The ProThrivers line of products has been specifically designed with the guidance of Lise Alschuler, ND, FABNO, a respected naturopath for 20 years and an expert in thriver care. Her present clinical focus is on addressing the needs of this specific population of thrivers using evidence-informed strategies. In addition, Dr. Alschuler is a thriver herself and uses her own experience to better understand their unique challenges. López G-Coviella I, Agut J, Ortiz JA, Wurtman RJ. J Nutr Biochem. 1992 Jun;3(6):313-5. Cotroneo AM, Castagna A, Putignano S, et al. Clin Interv Aging.2013;8:131-7. Kawagishi H, Shimada A, et al. Tetrahedron Lett. 1996;37, 7399–7402. Lee K et al. Protective Effects of Hericium erinaceus Mycelium and Its Isolated Erinacine. Int. J. Mol. Sci. 2014, 15, 15073-15089. Montgomery SA, Thal LJ, Amrein R. Int Clin Psychopharmacol. 2003;18(2):61-71. Malaguarnera M, Vacante M, Motta M, et al. Metab Brain Dis. 2011;26(4):281-9. Pettegrew JW, Klunk WE, et al. Neurobiol Aging. 1995 Jan-Feb;16(1):1–4. Vivoli E, Di Cesare Mannelli L, Salvicchi A, et al. Neuroscience. 2010 Jun 2;167(4):1168-74. Take 2 capsules twice daily, or as recommended by your healthcare professional. 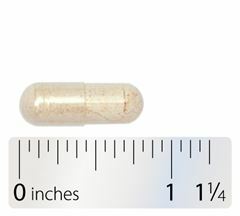 vegetable capsule (modified cellulose), ascorbyl palmitate, cellulose, maltose, silicon dioxide, gum ghatti, dextrin, and citric acid. Theracurmin® is a registered trademark of Theravalues. Are there any drug-nutrient interactions with ProThrivers Wellness Products? Caution should be taken when recommending this, or any, nutritional supplement to your patients. Use this drug-nutrient interaction checker to view potential interactions with the ingredients in ProThrivers Wellness products.